The legend has returned – and its splash is sure to reverberate from Main Street all the way to Juneau Avenue in Milwaukee. 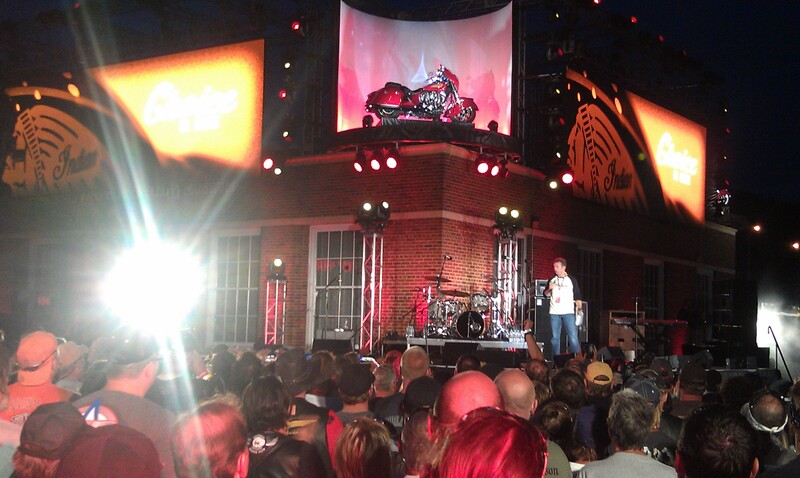 The new generation of American V-Twin cruisers made its grand debut in front of a crowd of thousands of enthusiasts and dignitaries at the Sturgis Motorcycle Hall of Fame Saturday night. 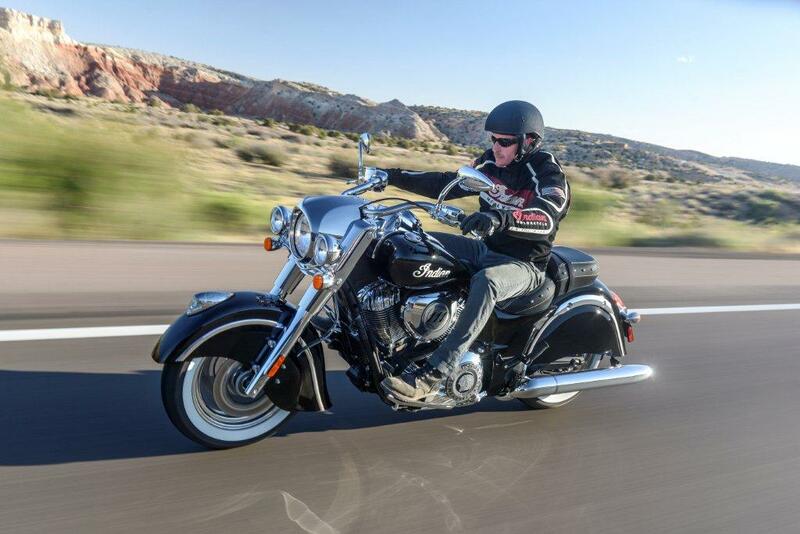 With a flash of spotlights and a haze of smoke machines, Polaris Vice President of Motorcycles Steve Mennetto pulled the wraps off of three new machines: the Chief Classic, the Chief Vintage, and the Chieftain, a fully featured touring machine. Mike Wolfe from American Pickers, motorcycle racing legend Don Emde and Laura Klock were among those who provided star power. 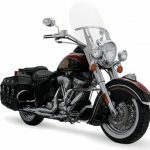 All three bikes feature anti-lock brakes, studded seats, cruise control and an innovative frame with integrated air intake. 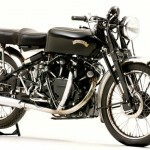 All have extensive chrome, the new 111 Thunderstroke engine and classic Indian styling. 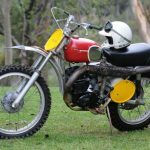 For those who worried Polaris would severely alter the legend, fear not: the new 2014 Indians harken back to a bygone era of motorcycling. 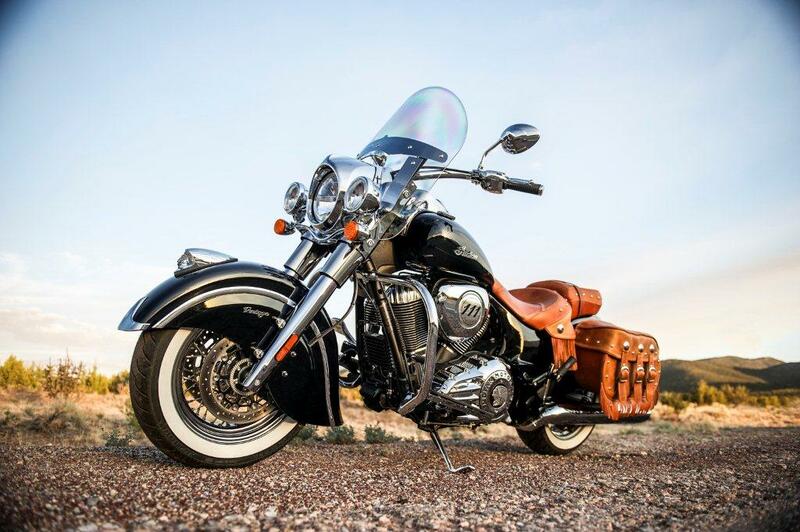 The standard Chief starts at $18,999. 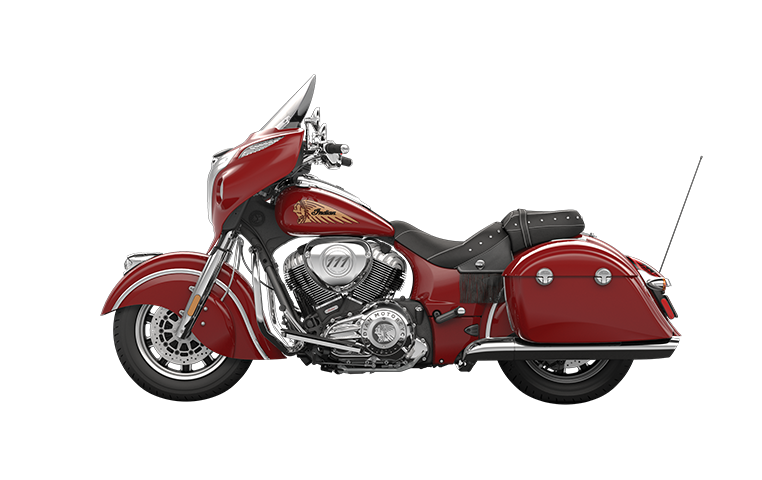 Featuring extensive chrome, trademark valanced fenders and the Indian war bonnet fender it’s the most basic of the three new Indians, and features keyless ignition and tank-mounted instrumentation sure to warm the hearts of serious aficionados. The $20,999 Chief Vintage features all the same stuff, and includes soft leather tan saddlebags with trademark Indian conchos, studs and fringed tassles. It also receives a quick-release windshield. 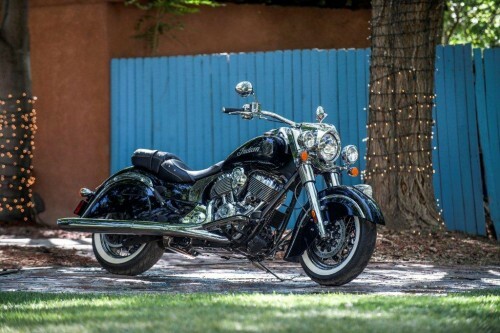 The Chieftain is the new Indian’s touring machine. 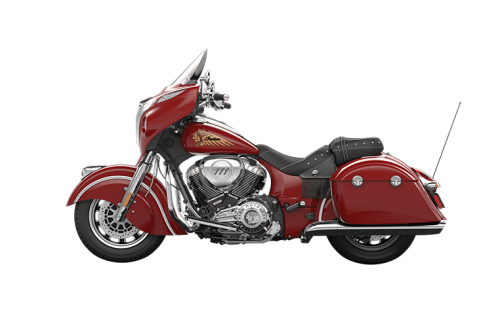 Featuring lockable and removable hard saddlebags, a fork-mounted fairing with digital instrumentation and a high-output integrated audio system with Bluetooth, the Chieftain also rocks a power windshield that raises and lowers to suit its rider’s desires. It starts at $22,999. 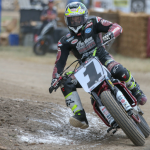 We spoke with Wolfe after the reveal, and the American Picker claims the performance of the new Indians is far superior to anything he’s ridden, including Harleys and Victorys. 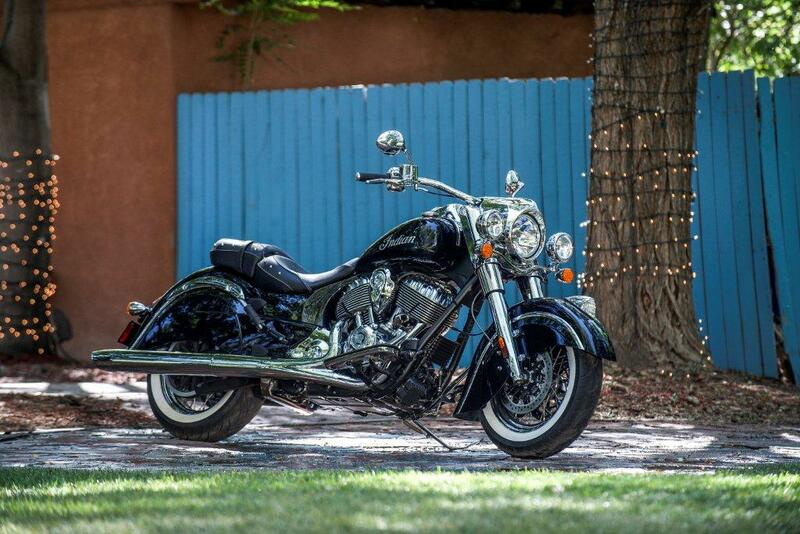 Indian has always been a beloved motorcycle, and its heritage and style is impossible to ignore in 2014. 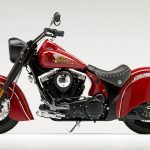 The new Indians are sure to make a massive splash on the American V-Twin cruiser market, and rest assured we will be putting all three iterations of these new bikes through their respective paces over the next few days. Stay tuned for our complete report.